Relative extent of belt armor, 93 percent of 'typical' coverage. 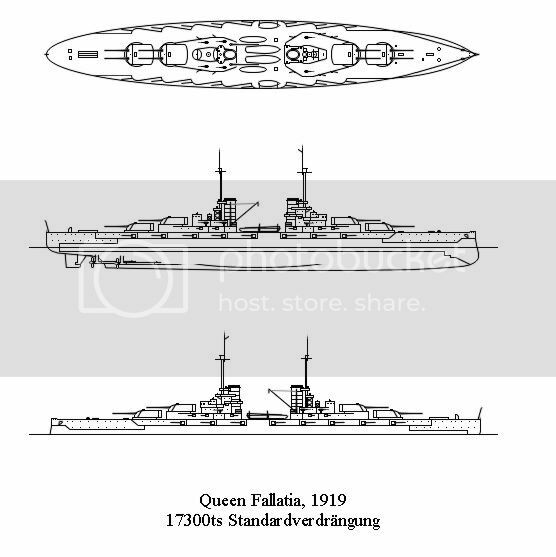 -Ashoka deleted to training role, 1910; converted to training ship through removal of one twin 28 cm mount, some smaller weapons, and conning tower and belt armor in 1919. See "Auxiliaries" thread for details. Relative extent of belt armor, 105 percent of 'typical' coverage. 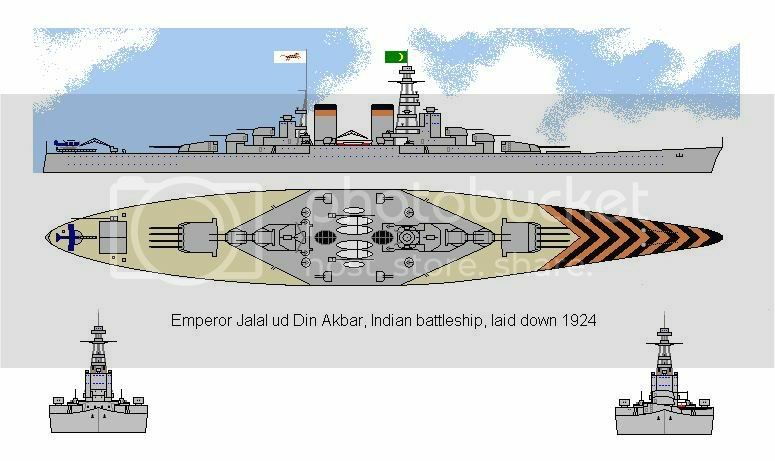 A 50% modernization of the Akbar Class staring with Akbar in 1936 and Janangir in 1938. -A heavier tertiary battery. The number of 10.5 cm guns has doubled, though the additional (“outer”) mounts are low-angle weapons to be used against small warships as well as low-flying aircraft such as torpedo bombers. The inboard 10.5 cm mounts are dedicated anti-aircraft guns. In time, it's expected that both sets of mounts will be replaced by a type capable of engaging either set of targets. The light battery has also been bolstered, with double the 3.5 cm mounts as well as the addition of four quadruple 1.5 cm machine guns. -The armor protection has been modified, with the belt armor reduced to 34 cm to allow the average deck armor to increase to 11.5 cm (15 cm over the vitals, 3 cm at the ends). The 4 cm decapping plate has been retained by Shah Jahan. -Range is increased to 14,200 nm @ 12 knots. 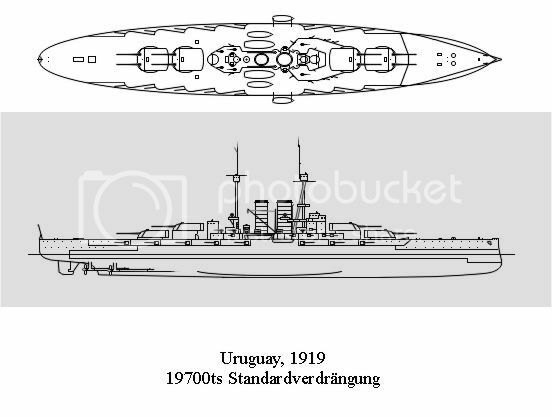 The ship's dimensions are slightly enlarged to accomodate this, although the standard displacement is almost identical. -Two aircraft are carried, rather than Akbar’s one, and the facilities are now amidships after some issue with vibrations at the aft catapult/hanger position on Akbar. Shah Jahan’s aircraft are housed in hangers flanking the aft funnel, and are serviced by a cross-deck catapult. -Finally, some adjustments have been made to the "pagoda", with one of the two primary rangefinders moved to the top. An enclosed Admiral's Bridge has also been placed on the tower. The first ship designed following the parameters allowed by the ABUSE Agreement. Basically an enlarged Almirante Villar with an all-forward main battery. The decision was made to open space aft to try the new triple Dual Purpose mount designed for the 125mm gun. The hull had also been designed with conversion to a carrier in mind; in 1941, the decision was made to complete the ship in this fashion instead (see: Bagh Nakh, in the Aviation Ship thread).